You know how the web is full of experts on any given subject and you love to read their blogs? Yeah well this isn’t one of those places. After 30 years in the Information Technology field as a coder, client server developer, data base administrator, report writer and even analytics developer I’ve realized that I’m pretty much a newbie when it comes to the art of Data Visualization. While I can pull 0’s and 1’s off of napkins sitting on the dashboard of end users cars (or at least they think I can) what I am just beginning a journey to do is truly understand this wonderful art form. If you were hoping you’d stumbled upon another Stephen Few, Randy Krum or Kaiser Fung you are in the wrong place. But if you are like me and are trying to learn how to bring your business intelligence applications to life through more robust, accurate and interactive visualizations then you just may be in the right place. My intent is to share what I’m learning … as I’m learning it. As I read something new, I will most certainly try it. As I under take new projects at work that fit … you’ll see it as I try it. If my attempts turn out to be horrible … so be it. I’ve never been afraid to fail so if I stumble forward … the key is that I’m moving forward. Nice blog Dalton. we both have similar interests so I look forward to our meeting. Your videos were amazing and helpful. 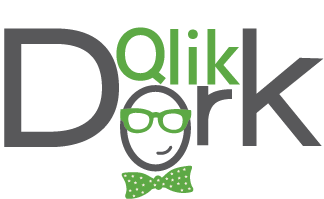 I am just stuck on a few visuals you have created in Qlik Sense such as the vertical dashboard. Is there anyway to reach you and be able to take a few minutes of your time. Your work is very inspiring!